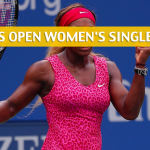 The US Open is the last Grand Slam tournament of the year and after this, it’s going to be a long wait before the next one arrives. 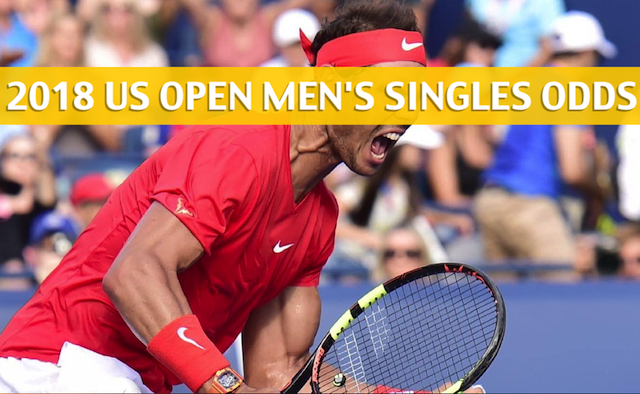 That should only add to the thrill of the event, as the world’s best tennis players converge in New York, all vying to be crowned as the 2018 US Open men’s singles champion. Who will that be? Djokovic missed most of last year’s events due to an elbow injury, but he’s definitely back in top form. Nothing speaks louder about it than his booming win at Wimbledon last month, when the Serbian hotshot defeated Kevin Anderson in straight sets in the finals. The said elbow ailment also forced Djokovic to skip last year’s US Open, where he’s always been a very fiery competitor. Save for 2005 and 2006, Djokovic hasn’t failed to reach the semifinals of the US Open in any year he’s plugged himself into the tournament. In his most recent appearance in the event, he made it to the finals but got upset in the championship game by Stan Wawrinka. Djokovic is 6-4 in hard court matches this year as of this writing. It’s been 10 years since Federer won his last US Open singles title, but up to this day, the greatest of them all remains a threat to win every tournament he enters his name. 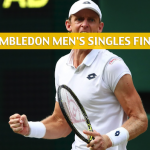 In his most recent appearance on in a Grand Slam tournament, Federer made a nice deep run at Wimbledon, but got downed in the quarterfinals by Kevin Anderson. It’s Federer’s win earlier this year at the Australian Open, which seems to give a precedent for what’s to come from the Swiss legend in New York, as he’s been simply spectacular on hard courts this year. Federer is 17-2 in ATP matches on the said surface as of this writing. Federer has reached at least the quarterfinals of the US Open in six of the last seven times he participated in the tournament. 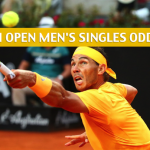 Nadal has to be included under the “favorites” column for the US Open given that the sportsbook lists him with third best odds to take the event, but expect him to bow out earlier than the lines suggest. After pulling out of the Cincinnati Masters a few days ago, underground rumblings and whispers from little birds have this writer drawing a conclusion that Nadal’s chronic injuries are creeping up prior to the US Open. The tall South African with a killer service game is still in search of a Grand Slam win, and he came awfully close to getting one last month at Wimbledon, but fell in the title game to Djokovic. Nevertheless, it just shows how, evet at age 32, Anderson is a threat to make anyone who underestimate him eat their words. 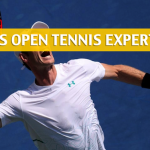 Anderson was also on the cusp of winning at the US Open last year, but bowed down to Rafael Nadal in straight sets in the finals to settle for a runner-up finish. Anderson has a tasty winning percentage on hard court matches this year, with a 20-6 record on ATP matches played on the said surface. Like Anderson, Isner is a hard-serving big man, who also had an unforgettable run in this year’s edition of Wimbledon. The American reached the semis of the tournament, where he met Anderson. The two then proceeded to play the longest semifinals match in Wimbledon history, one that lasted six hours and 36 minutes. Although Isner lost that match, he did recover right away, as he won the BB&T Atlanta Open shortly thereafter, showing his readiness for the hard-court battles at the upcoming US Open. There’s no word yet whether Tsonga will be able to play at the US Open after undergoing surgery in his left knee back in April, but if he does, he’ll be a long shot anyway. 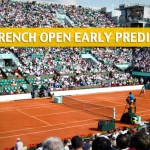 Tsonga hasn’t played since he made it to the semis of last February’s Open Sud de France and has seen his ATP ranking slide all the way down to the 65th spot. The 33-year-old French has reached the quarterfinals of the US Open three times in his career but has yet to go beyond that. Novak Djokovic gets his second Grand Slam title of the year with a win in New York.